Why has there been a global increase in food allergies? "Globally, more than 250 million people suffer from a food allergy with more than 17 million people suffering from food allergies in Europe alone"
An allergy is defined as an "immune response to a substance especially a particular food, pollen, dust or a medicine to which an individual has become hypersensitive to". Allergic reactions may be mild, moderate or, in severe cases, fatal due to anaphylaxis. The incidences of allergic diseases such as food allergies, asthma, allergic rhinitis and dermatitis have increased dramatically over the past decade. But why? What's behind the mystifying rise in allergic diseases in what some experts are calling "the allergy planet"? The human body’s immune system is designed to recognise bacteria and viruses and sends out antibodies to attack foreign invaders and prevent infection. However, the immune system sometimes "misfires" and attacks something harmless causing these allergic reactions. This is the case in food allergies, where the immune system recognises an otherwise harmless food protein as a foreign invader and attacks it, mediated by the antibody IgE. Food allergies are characterised by a sometimes fatal reaction called anaphylaxis which can kill within 20 to 30 minutes without the medical intervention of adrenaline. Food allergy cases have risen by as much as 50 percent in the past decade with a 700 percent rise in hospitalisations due to anaphylaxis. Globally, more than 250 million people suffer from a food allergy with more than 17 million people suffering from food allergies in Europe alone. It is estimated that over three percent of adults and up to six percent of children have a food allergy. 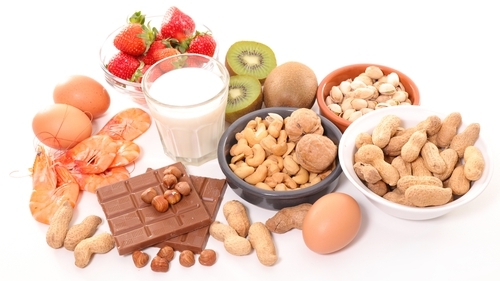 While the World Allergy Organisation (WAO) suggests that over 170 foods are associated with allergic reactions, there are 14 major food allergens legislated for in the EU, with peanut, egg and tree nut tending to be the most prelevant. The onset of symptoms in IgE mediated food allergies occurs quickly: some occur immediately, others within 20 minutes and more within one to two hours after food ingestion or exposure. It is not only food allergy statistics that have increased dramatically: as of 2018, 339 million people globally suffer from asthma and 400 million from allergic rhinitis. What's behind this massive increase? There are numerous hypotheses suggesting possible reasons for the surge in allergic diseases. The first is "the hygiene hypothesis". The kernel of this theory suggests that we have become "too clean" as a society. This hypothesis was first presented in the British Medical Journal by Professor David Strachan in the late 1980s who found that children in larger households with more siblings had a lower incidence of allergic rhinitis. This theory is also related to "one child families" where only children are not surrounded by siblings therefore are not exposed to familial microbes. German scientist Dr. Erica Von Mutius, followed up with numerous studies, one of which led to another phenomenon known as "the farm effect" which is related to the "hygiene hypothesis". She researched the incidence of allergic diseases amongst Amish people, dairy farmers and city dwellers. Her research found the lowest incidence of allergic disease was in the Amish community and the highest in city dwellers. You may wonder why. The Amish lifestyle is very simple: no chemicals or electricity and farming is at the heart of their culture. Once children are old enough to crawl, they are amongst farm animals and drink unpasteurised milk. Von Mutius sampled the dust in barns and their houses and found a rich microbial count. But the microbes had modulated their immune systems enhancing their immunity. This leads to another hypothesis about the contents of our microbiome. The human microbiome is a cocktail of thousands of microbes. However, if there are more bad microbes than good, a condition known as dysbiosis occurs. Dysbiosis has been associated with chronic inflammatory conditions of the skin, gut and autoimmune disorders. Studies have should that more good microbes produce anti-inflammatory molecules that can prevent allergic disease. "The extent to which our food is processed has also been attributed to the increase in allergies"
The theory of the microbiome is also used to validate the association of the increase in Caesarean sections with the development of allergies. Why? Babies born through natural childbirth are exposed to the natural bacterial population in the birth canal and can lead to their microbiome establishing. However, the first organisms a baby is exposed to via C-section are more skin bacteria and airborne organisms so the theory is that the composition of their microbiome could potentially have more bad microbes than good, hence lead to the potential development of an allergic disease. Babies also can be genetically predisposed to allergies. Studies have shown that if both parents have an allergy, the child is 75 percent predisposed and this reduces to 50 percent if only one parent has an allergy. How early babies are weaned and the foods they are given also has an impact on the development of allergies. Research has suggested exposing babies to cow’s milk, egg, peanut and wheat at four months could prevent the development of those allergies. The extent to which our food is processed has also been attributed to the increase in allergies. The development of food processing began in the early 1980s when convenient cheap foods were in demand due to the massive recession at the time. Research has shown that some food processing methods increases the allergenicity of food proteins - for example, boiling peanut reduces the allergenicity whereas roasting increases it. Food processing methods also may compromise the nutritional composition of foods. One of the essential vitamins in the diet today is vitamin D and vitamin D deficiency has also been associated with the development of allergies. Vitamin D or "the sunshine" vitamin fortifies the immune system and has anti-inflammatory properties. Research has shown that more incidences of allergic disease occur in areas of less sunshine, our natural source of vitamin D. However, fortification of the diet with vitamin D could reduce the potential of allergic disease development especially during childhood. Whilst there is no cure for food allergies, other allergic disease such as asthma and allergic rhinitis can be managed effectively with medication. Innovative treatments for food allergies are also being trialled. These include desensitisation, whereby the sufferer is exposed to tiny amounts of the allergen. The theory is that gradually the body will stop recognising the protein as an invader and not illicit the immune response. Other research is in the area of immunomodulation, which is trying to correct the action of the immune system. Whilst all these studies exist, the fact is that these allergies are still increasing and could be a culmination of numerous factors. Research is still ongoing and, while studies have identified links, it is still only the tip of the iceberg at the edge of "the allergy planet". Dr Orla Cahill is a lecturer in Allergen Management and Control & Microbiology in the School of Food Science & Environmental Health at DIT. She is a former Irish Research Council awardee.